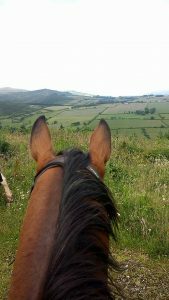 Forest Trails, Breathtaking Views, Ballyhoura,Galty,Knockmealdown Mountain Ranges. Saddle up and wind down with beautiful relaxing Scenic Ride outs, Your one stop shop for all your riding and horse needs. No experince required. Guided rides, Private Lessons, Children Camps, Adults Camps. We welcome all riders.